This article, which comes in four parts, argues that the current approach to solving Uganda's energy problems is fundamentally flawed, not only in itself but also, and equally important, in the kind of economic development it will engender. In a sensible strategy, the first level of intervention ought to consider eliminating the need for energy wherever possible. This is because energy in itself does not provide direct utility to man. A good example to illustrate this point is transport. Moving from house A to shop B requires transport which consumes energy. But providing a shopping centre at A will eliminate the need for transport and the associated energy consumption. This, obvious as it may seem, is not being addressed at all by our energy policy makers. 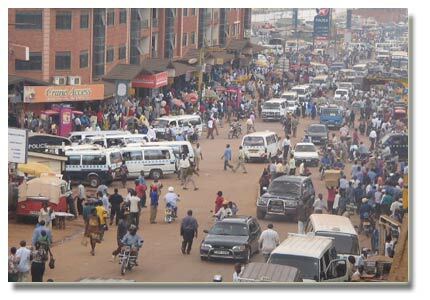 Thus the regional and urban structure of Uganda continues to grow in ways that maximise transport and the concomitant energy consumption. Similarly, most buildings are not designed to be freely self-cooling and therefore require air-conditioning (which consumes energy) to maintain ambient indoor conditions. By designing self-cooling buildings, the need for energy consumed by the air-conditioning would be eliminated. Many other possibilities for eliminating energy needs could be cited and the reader is invited to think of other examples. When energy elimination measures are applied in all sectors, lots of energy would be saved and freed up for application to more pressing purposes. Minibuses (Kamunye) are a popular mode of transport in Uganda. With a reconfiguration of the urban and regional structure, a lot of the energy consumed by the transport sector can be saved. At the second level, the argument is that, in cases where use of energy is indispensable, it is worthwhile, in Uganda's impoverished context, to utilise animal energy. One of the main outcries against electricity load shedding has been that it disrupts production in the factories. The solution being proposed is to increase production of electricity so as to ensure a stable supply. But since electricity is the most refined form of energy, there should also be, in the wider arguments, discussions on how alternative energy sources can be harnessed for the production processes. Particularly, it seems to me, instead of using electricity-driven machines, we should look into ways of using animal energy - especially that sourced from man. Hence, considerations should not be limited to producing more electricity to power factories. Rather, they should be extended to include the reconfiguration of the production processes to make them acquiescent to direct energy input of humans. A key factor supporting this viewpoint is the rampant unemployment in the country. Electricity powered machines take away jobs that could have been a source of income for many Ugandans if production were to be more labour-intensive.�The reader may think that it is unrealistic to propose production based on human power. 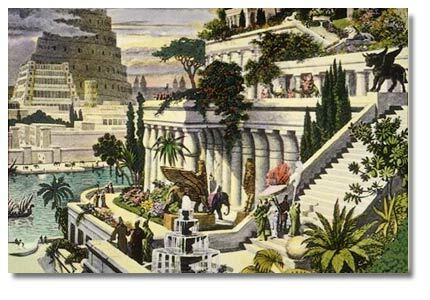 But remember that the seven wonders of the ancient world (the Pyramids at Giza, the Hanging Gardens of Babylon, the Temple of Artemis etc) were constructed, long before electricity was discovered, using good old human brawn. Reducing dependency on electricity in favour of labour-intensive production will also save the country lots of foreign exchange for the simple reason that; unlike electricity generation equipment which must be imported, labour is abundantly available in Uganda in the form of idle young men. Young Ugandans dance away: Production systems should be designed to benefit from utilisation of their youthful energy. This will create employment. At the third level of the framework, which also needs to be considered before electricity, is the direct utilisation of non-fuel energy sources (sun, wind and water). Direct utilisation of non-fuel sources is equivalent to getting lots of work done at no expense to man or the environment. This will be illustrated by two examples. The first example is that most of us love a hot bath after a long workday. Hence nearly everyone likes to heat bathing water either on a charcoal stove (sigiri) or using an electric device. Yet, it is perfectly possible to heat all that water free-of-charge using Uganda's abundant sunshine. It may also baffle the reader to learn that many buildings are not designed to make maximum use of daylight. Consequently, such buildings are always dark and therefore require energy-consuming artificial lighting. Long before electricity was discovered, water was exploited directly in the form of watermills to power various mechanical processes. There is no reason why Uganda's numerous rivers cannot be used to run watermills for cottage industries. Concerning transport, an example is the use of wind to power sailboats. Non-fuel sources, when used directly, are a free source of energy for man. You do not need to spend effort or a penny to light up a building with sunshine. At the same time, direct utilisation of non-fuel sources will not put any extra strain on the environment (e.g. whether man uses sunshine or not, the sun will continue to shine). Thus, direct use of non-fuel sources will ease the burden on man by saving him the effort he would have to expend either to do the work himself or to find other energy sources. The second advantage in direct utilisation of non-fuel sources is that it eliminates the extra process activities of converting them into electricity. Thus, instead of generating hydro-electricity, the water is used directly in a watermill to run a factory. This means that Uganda would save the (imported) resources that would otherwise be required for electricity generation. Last but not least, a further rationale for direct use of non-fuel sources comes from the consideration that electricity is an inefficient form of energy (typically less than 40% of the energy contained in a "primary" source is converted to electricity). Direct use of fuel energy sources (where they are available locally) would also result in the same advantages as accorded by non-fuel sources. Sunshine is freely and abundantly available in Uganda. Direct utilisation of this free source of energy ought to be part of a prudent energy policy. However, working against the fuel energy sources is the fact that they all cause environmental pollution. A further drawback is that most fuel energy sources are non-renewable resources. In Part III and Part IV, competing strategies for electricity generation, where it must be provided, are discussed. Tom Sanya qualified as an architect at Makerere University in 1996 and was called back to lecture at the Department of Architecture. In 2001, he attained a Master of Infrastructure Planning Degree from the University of Stuttgart (Germany). His Master's Thesis was entitled "A Study of Informal Settlements in Kampala City". He undertook his doctorate studies at the Oslo School of Architecture. His doctorate research proposal was entitled "Living in Earth � the Sustainability of Earth Architecture in Uganda". By 2005 he worked as an Architect in Technology Consults Limited, a cross-disciplinary firm that offers consultancy services in architecture, engineering, computing and surveying. Now with a PhD in architectural sustainability, he is involved in an experimental practice whereby he feeds lessons from actual building projects into academia and vice-versa. Currently, Tom is a lecturer in the School of Architecture at the University of KwaZulu Natal in South Africa. His interests include: sustainability of the built environment, the link between development and architecture, and building technology. President Yoweri Kaguta Museveni said that by 2020 any Ugandan should be able to earn 20 million shillings a year, including all Ugandan farmers. Lubega Emmanuel answers his call. Jo Nganda of Jozy'z Boutique - The lady with a passion for fashion. Nakumatt Oasis, Kampala's hypermarket, recently officially launched in Kampala. Imelda's major challenge was finding capital to start a meaningful business. In 1989, there were no banks offering loans to individuals like her earning 30,600shs. Women are very important to the economic development of any African nation. They are the backbone of the home. Successful candidates also pay a commission of 100,000 Uganda shillings to the company for securing the temporary jobs. Ugandans forced to keep up with technology. UGPulse.com is proudly powered by UgaTechUSA, Inc.